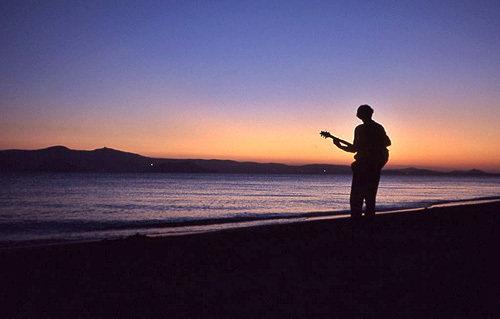 Lagos Mare Hotel is the adornment of Agios Prokopios Beach in Naxos. Recently built (2006), it is a luxurious and elegant hotel, providing all modern comforts. 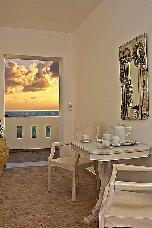 It is situated right on the beach of Agios Prokopios offering panoramic view of the sea and the island of Naxos. It is consisted of spacious rooms with contemporary furniture and all comforts for a pleasant stay. All rooms are equipped with Satellite TV, hydromassage jet, anatomic mattress, high speed internet access, balcony with sea view, mini bar, baby listening device, room service, private safe deposit box. Here, at out hotel you will find everything you need in order to enjoy your holidays without any distractions. 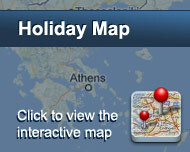 You can relax at the hotel swimming pool and enjoy your drink viewing at the Aegean sea. If you are a more athletic type choose amongst the water sports offered such as: snorkeling, windsurfing, hiking, etc. It will be difficult for you to get out of the hotel for your entertainment, as you won’t find easily something to please you more. The staff of Lagos Mare will make your every wish come true, while we are in position to solve quickly any problem might come up. Trust us and we will make your holidays unique and unforgettable. Είστε ιδιοκτήτης ή διευθυντής στο LAGOS MARE; Εγγραφείτε τώρα για δωρεάν εργαλεία, που μπορείτε να χρησιμοποιήσετε για να βελτιώσετε την καταχώρησή σας και να συνδέσετε την ιστοσελίδα σας και το σύστημα κρατήσεών σας.